Excellent mid-size bag. Versatile with lots of options for attaching extra gear. Durable and tough. Comfortable to carry, even with odd-shaped loads. I received my Mountainsmith Bugaboo backpack from a friend who had barely used it. It is a model from a few years ago, but just what I was looking for. I wanted something bigger than a day pack for snowshoeing, when I need room for more emergency gear, a shovel, and may pack a snowboard, and this fit the bill. I have carried my snowboard strapped vertically on the back, and once I got things tightened down and the height adjusted, it was comfortable. The pack is big enough to fit an extra pair of fleece pants, a jacket and down vest in addition to camp stove, gas, food, shovel, food and a couple of liters of water, with room still to spare. I think in the summer this may be my go-to bag for overnights. With a closed cell mat on the outside, there will be plenty of room for my tent, sleeping bag, a change of clothes, food, water and gear. And the straps make the pack stable with a small large load, since they are well positioned to keep the pack tight even without much in it. For some people, the single chamber without internal or many external pockets may be a problem, but I like to keep clothes in a waterproof Sea to Summit bag anyways, with food in a zip lock and other small bits of gear in a nylon bag. Everything is easy to access with the gaping U shaped zipper that goes up one side, around the top and back down the other side. If you need to access something in the bottom of the pack, you may have to unsnap the compression straps at the top and maybe loosen the lower ones to get the zipper open to the bottom, but at least you can get things out of the bottom without removing everything at the top of the bag. I wouldn't mind a few water bottle pockets on the outside, but I think I can slip a platy under the cargo flap. Any drinking without taking the pack off would either require using a reservoir and tube or strapping something else on where you can reach it. All in all this is a really good pack, and I think it exceeds my expectations. I recommend it if you have similar needs and can get one. I'm told they sell well on the used market due to their durability. The Bugaboo is great for weekend backpacking trips. The Bugaboo is great for weekend backpacking trips. It holds everything I need and distributes the weight to feel light. It is sturdy and no-nonsense. I recommend it to any mountain adventure girl or small guy. I have owned my Mountainsmith Bugaboo for many years and it has never let me down. It is comfortable and distributes the weight to the hips. It's designed to fit women or small guys. It fits everything I need for weekend backpacking trips, sometime with room to spare. This is okay, because of its compression straps, the pack shrinks and grows easily. Mountainsmith packs are known for "extra" straps and buckles. After removing a few unnecessary ones, bucking and strapping this pack is very straightforward. After awhile the cam buckles broke, but this was not a problem, as I sent it in for an "authorized warranty repair". The pack was returned promptly and was as good, or better than new. My Bugaboo is no spring chicken, but its durability is A+ because it is constructed with 500D Cordura and tightly knit webbing. Mountainsmith packs always withstand the tests of time. This has to be one of the best packs that I own, it's the most versitle pack of the bunch! I use it four seasons, hunting, snowshoeing-skiing, climbing and hiking. From the backcountry in Yellowstone, during a 11 day geological field school excursion, to the Mojave the versitility is amazing. 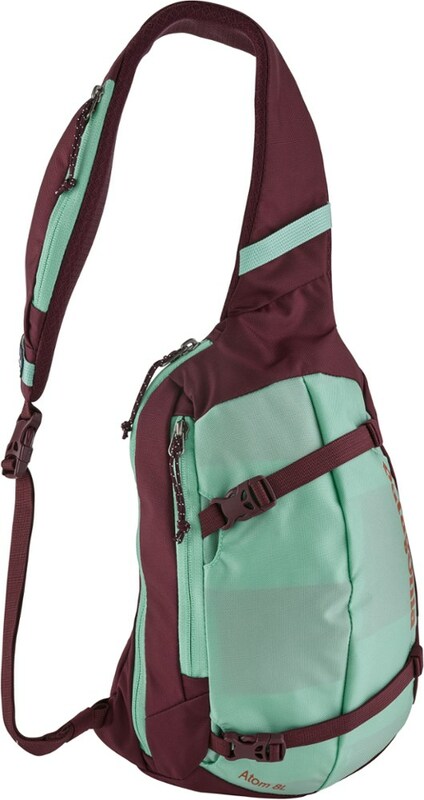 As a "day pack" it will hold everything you could imagine, clothing, layers, etc, and carry it all quite well. The straps as everyone mentioned are 'a plenty, but are useful for lashing items. The strapping-harness system allows you to compress items in the pack, giving it a very low profile. There are many other loops, and points to strap items on as well, such as snowshoes, snowshovels, skis, poles, and even rifles are secured without worry. As the pockets go, a small interior pocket is useful for small items, and the outside pocket is great for easy access items, (maps, compass, yadayada). If more pockets are needed just add a side pocket or two to customize it for your needs! This pack gets quite a workout during the hunting season in the ADK's, after 8 to 10 miles plus a day in the backcountry for 7 weekends in a row, it still is comfortable at the end of the day. All in all, a great pack, I recommend it highly! I have owned this pack now for close to 5 years, so this is an old model. I have hiked over 500 miles with this pack and I feel it was definitely worth the price. 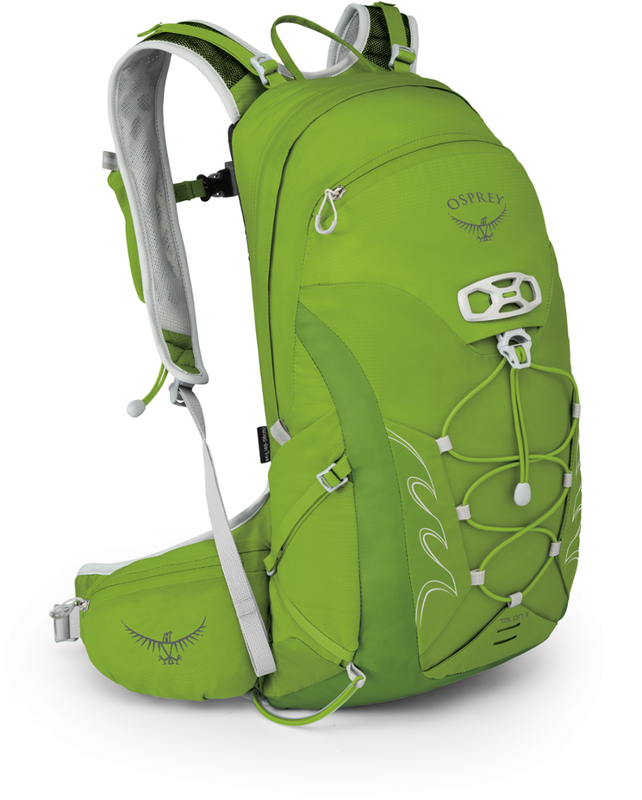 You really appreciate this pack when you put on the weight and hike long distances. 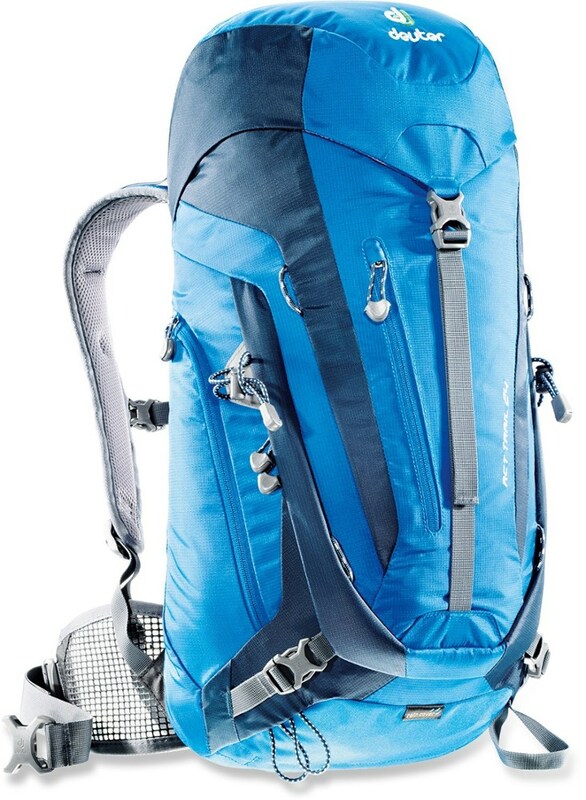 I have used this pack in the northeast and in the Colorado Rockies. I highly recommend if you are looking for a pack this size to check it out. Max. Load Carried: 30 lbs. Good pack! I've used it for everything from travel to day hikes to lugging books and photo equipment. Suspension was a bit tricky for someone my height, but once it's set the pack is like skin. Straps are a bit much, but once you find your way around customizing the fit everything is much more simple. The internal bladder pocket is a plus on day hikes, but for short overnights, a full bladder uses up needed space. 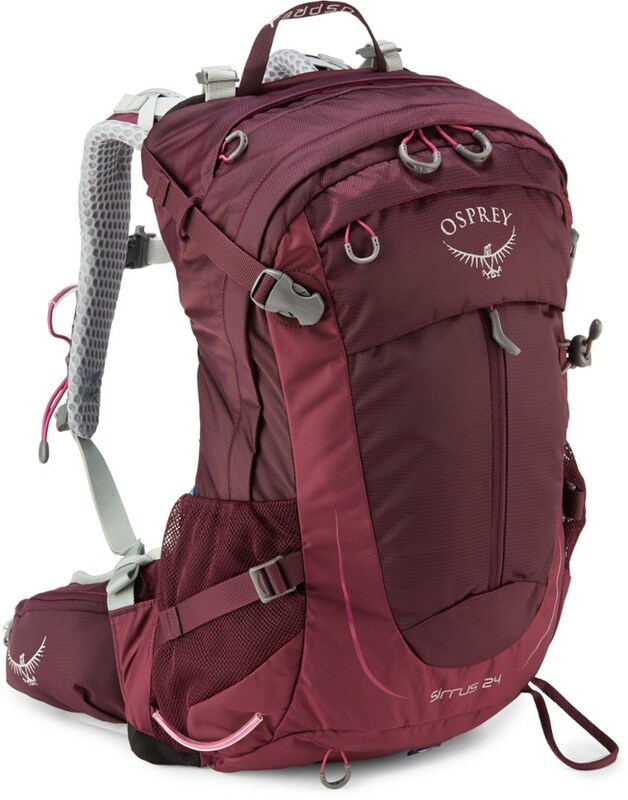 I would recommend this pack to anyone looking for a well-built, versatile pack with staying power. Four days in the Judean desert with this pack was a snap, even with the heavy gear. Max. Load Carried: 40 lbs. 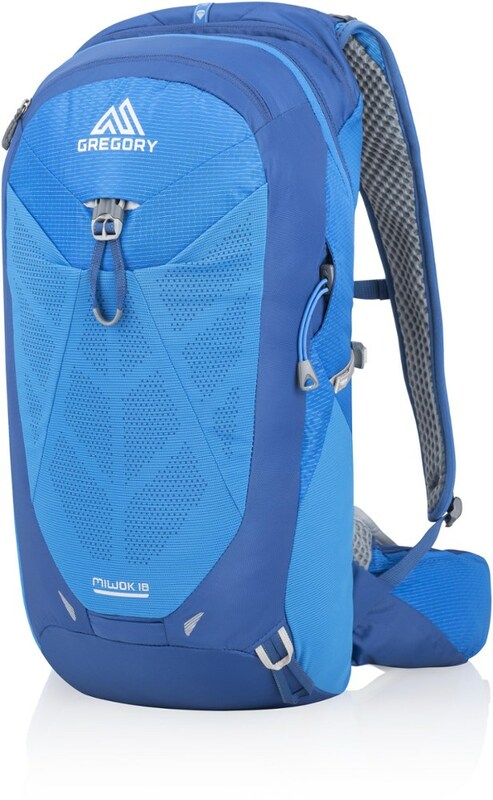 I have had this pack about 5 years and it is not the latest model (no pouch for water bladder). 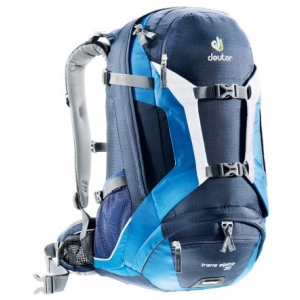 The pack is very comfortable once properly adjusted and has stood up extremely well in use all over the U.S. The size is perfect for winter day trips I often throw in a sleeping bag and pad for safety since I hike alone. I have had many packs but never one as comfortable as this one. Height of Owner: 5' 7"
After reading mrc's review of his bugaboo, I felt compelled to write as well. My bugaboo is about 6 years old and still in great shape. I have used it everywhere from Florida to New York and west to Utah. It has performed well in all conditions. It is light enough to carry on light duty climbs and more than one I used it when packing in on overnight trips. I have taken it skiing where the suspension system allowed enough freedom of movement to handle the worst Utah had to offer (I used it to carry a camcorder, great video!). Others in the discussion about Mt. Smith packs have thrashed them for lots of straps and excess stuff on their packs. In one regard I would tend to agree. On the other, those straps allow on to keep adding on gear to the outside of the pack. My bugaboo's "coupe de grace" was a two-night trip in VA where I loaded it with about 50 pounds of gear including a tent, sleeping bag, thermarest, rope and full climbing rack. I could have used a little thicker waste belt at the time, but I think now it's an optional accessory. Another minor complaint is that when traveling by plane, the handle on the side of the pack is not centered. This causes the pack to tip towards the rear when you carry it. This is easily fix by adding a biner to the D loops between the map pocket. With age the elastic drawstring on the pack is not nearly as stretchy. This is due to keeping it stored with it at some level of tension. Also the waterproof lining is starting to flake off around to zipper on top. Neither of these problems is a big deal. I would recommend this pack to anyone who want a good durable daypack. I bought this pack last year in sale, so this review does not apply to the '97 - models. You still may be able to find the pre-97 packs on sale. New 97+ models are $140+. I love the fit of this pack. Leaves lots of room for elbows and arms, yet holds enough equipment for day outings and light overnights. Well built, well customizable suspension for a pack this size. The usual Mt. Smith features are there. I use a camelback bladder in the outside pocket for longer hikes and SAR work. Also works out well when traveling via airplane, as it just fits the overhead bin requirements. Downsides: Only 1 big pocket + small outside pocket, lots of straps (ie. clutter), velcro on outside pocket wears. Upsides: Solid, well built and designed pack for a great price. Reading the other reviews, I realized I'm going on nine years of using my Bugaboo on almost a daily basis, and it's in just about as good shape as when I bought it. I have used it biking, book-carrying, and for carrying up to 40 lbs of groceries from the supermarket. I use it on any day hikes and even for quick summer overnights. The suspension system is excellent, though you'll be happiest keeping the loads under 30 lbs. Like Mountainsmith's lumbar packs (the waist-belt set-up is the same), the pack fits like a glove, and, properly adjusted, hardly bounces at all even when I'm running. The panel-loader zipper has never even balked, and the numerous lash points and compression straps have allowed me to stretch its utility numerous times. I'm not sure how useful people will find a review of a decade-old model, but it does show the durability. I have beat on this pack, and it has held up remarkably. I have also noted in stores that the current Bugaboo doesn't seem to have changed much (except for the improvement of making a shovel pocket out of the exterior pouch on mine). But you don't expect smart pack makers to fiddle too much when they're already close to perfection. If you're in the market for a day-and-a-half pack, you should try out a Bugaboo. You might find another pack just as good, but you won't find one better. 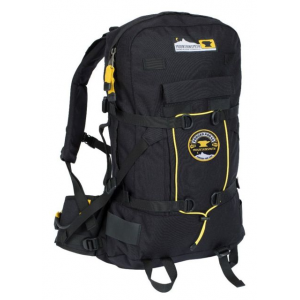 This pack is very comfortable to wear, especially if the suspension system is set up right. One thing that I love about the Bugaboo is its suspension system. Even though it is small, it still has a full suspension system that you would find on a expedition pack. This is basically a one night pack for those who go light. The only complaint on the pack is the length of the straps, but you can easily trim them down. I have used this mainly on 1 day backcountry ski trips and I plan on using it on very short trips in the summer.